Intel posted official details of its upcoming 9th Gen Core-H laptop CPU series just ahead of the weekend. The list of previously unannounced chips formed part of the firm's Export Compliance Metrics page. Realising its mistake, Intel swiftly removed the over-illuminating document but thankfully tech sites including Tom's Hardware were canny enough to download / screengrab the details. Above you can see a cropped section of the table showing off the section with various 'H' series chips, which will be coming to a wide range of laptops in the not-too-distant future. There are H-series chips on the way ranging from Core-i5 to Core i9, with the series crowned by the Intel Core i9-9980HK - an 8C/16T part with a boost speed of 5.0GHz. The only other detail of this CPU officially but ever so briefly revealed was that the 9980HK comes with 16MB of L3 cache. Going by Intel's nomenclature, the H is shorthand for High performance graphics and the K signals that this processor will come with an unlocked multiplier providing easy overclocking options. Mobile H-series processors usually come in at 45W or less, so while it is impressive to see the 5.0GHz boost, it is expected that the base clock will be somewhat overshadowed by its 8C/16T desktop relatives like the i9-9900K. Another point of note is that the top end Intel Core i9-9980HK is the only overclockable H series processor in the upcoming family, as it stands. Moving down the list you will see the 6C/12T Intel Core i7-9850H and i7-9750H. 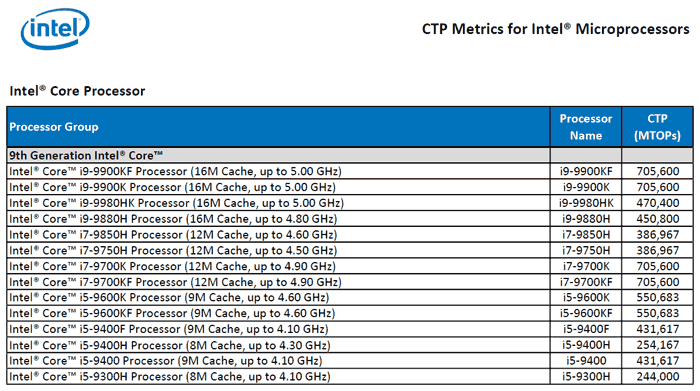 Then, a pair of i5 processors, the i5-9400H and i5-9300H, round off the table with 4C/8T and 8MB L3 cache. Of course, the new i9-9980HK will replace the 8th gen (6C/12T) Intel i9-8950HK processor as the top-end premium Core processor for laptops. 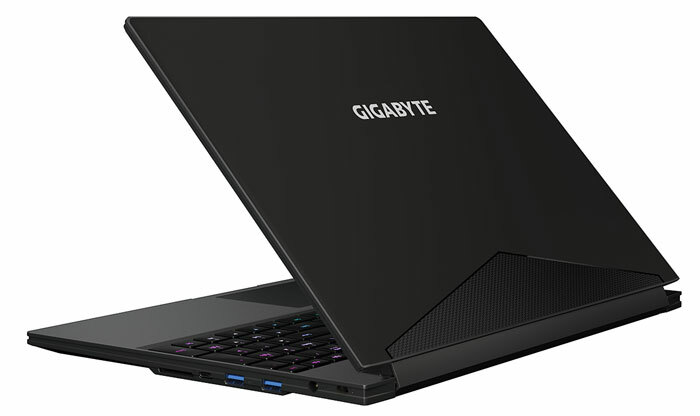 If you want to see how well the i9-8950HK performs in a modern laptop please take a look over the HEXUS review of the Gigabyte Aero 15 X9, published last Friday.